How Long Is Too long For Having Cough and Cold? Most coughs and cold subside on their own within four weeks ,in fact having cough and cold is the body’s way of clearing your air passages by eliminating germs and excess mucus. Even though you have cough for more than a month you don’t take it seriously and also these coughs and colds subside as time passes. But sometimes cough can stay for much longer time and can cause serious discomfort and you may want to know if there is anything serious. It is very important to understand that extreme coughing can be an indication of some underlying infection, moreover if you are coughing day and night it not only disturbs your sleep pattern but also interferes with your daily work and this the reason enough for you to get medical help. Extreme cough and cold that stays for too long along with other symptoms like sore throat, running nose, shortness of breath, sneezing constantly and pain while swallowing can point to something more serious like infections like -pneumonia, obstructive pulmonary diseases(COPD), asthma, pulmonary fibrosis, tuberculosis, heart failure and other problems. It is really worrisome to have long term cold and cough that needs to be properly treated. Most coughs stay for maximum of three weeks and does not cause any serious problems, but if it stays for much longer time, then it can be dangerous and it is advisable to seek medical attention. Coughing constantly can result in throat infections which may damage the tissues of the throat. Sometimes chronic cough can have serious impact on your health like it can be a symptom of onset of some cancer or tuberculosis. Chronic coughing can cause muscular ache due to pressure and strain. Chronic coughing along with low bone density can affect your middle ribs causing cracks. People with chronic cough that does not subside are at great risk for diaphragm rupture. 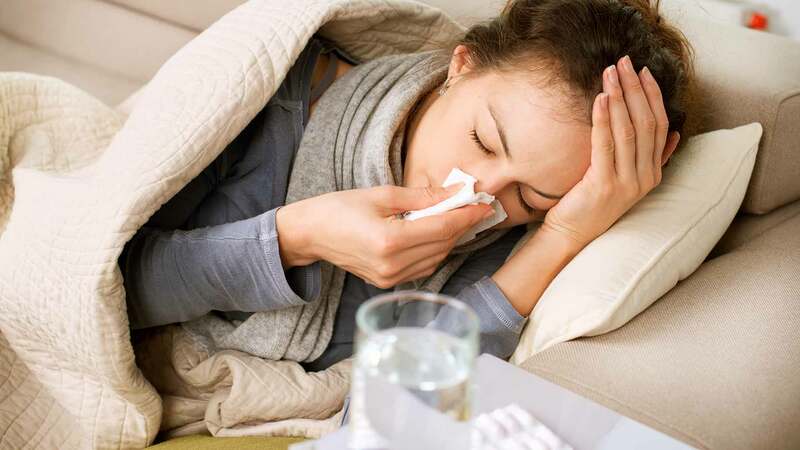 Conclusion – It is very commonly observed that most people with persistent cough do not bother to get treated for the same at the right time and leave it untreated which can be dangerous. A doctor’s intervention is necessary to fight off chronic cough and cold.